Stuttgart. Dr. Ing. h.c. F. Porsche AG, of Stuttgart, Germany has taken a further step forward in its current model offensive. This most powerful version of the 911 now has even higher performance and is the sixth launch this year, following the 911 GT3, Carrera 4S Cabriolet, 911 Turbo Cabriolet, GT3 RS and the 40th anniversary 911 model. The 911 GT2 available when the 2004 model year starts has a power output of 483 bhp (355 kW), an increase of 21 hp (15 kW) on the previous model, making it even more athletic and faster. The GT2 will be available from Porsche Centers from October on. The increase in performance has been achieved by detailed improvements to the electronic engine management maps, yielding an increase of 20 Nm in maximum torque to 640 Nm between 3,500 rpm and 4,500 rpm. With a power-to-weight ratio of 4.06 kilograms per kilowatt, it now takes the rear-wheel drive GT2 only 4 seconds to accelerate from a standstill to 100 km/h and only 12.5 seconds from 0 to 200 km/h. 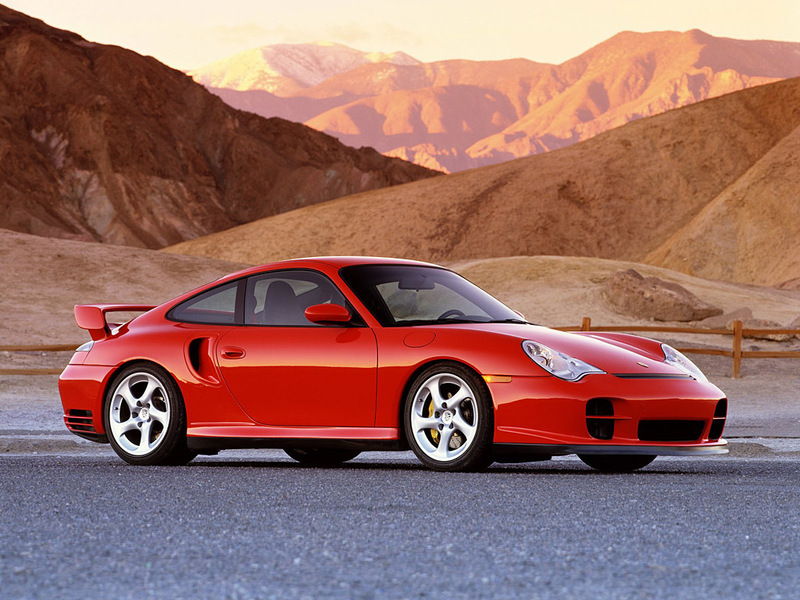 Its maximum speed is 319 km/h, making the GT2 for the 2004 model year 4 km/h faster than its predecessor. Its exhaust emission values are similar to those of the 911 Turbo and it complies easily with the stringent D4 standards. These are equivalent to the EURO 4 standard test limits that will not become mandatory until January 1, 2005. As a matter of course, the GT2 also satisfies the US LEV standard. Extreme sports-car performance was a clear priority when this powerful turbocharged model was developed. This is why, in addition to the power output increase, the front and rear suspension has been optimized as well, with modified springs/shock absorbers and brake system. The car now has even more sensitive four-channel ABS for effective anti-lock braking. The boldly styled, aerodynamically advanced rear wing is available in unpainted carbon fiber upon request. It weighs 2.8 kilograms less and is standard on the Clubsport version. The door mirror housings and air output slats in the front apron panel feature a carbon look as part of this equipment package. The 2004 GT2 generation sets itself apart with the new GT3-style wheels, which are 8.5 inches wide at the front and 12 inches at the rear. They are shod with size 235/40 R 18 tires at the front and 315/30 R 18 at the rear. The new GT2 also comes with the Porsche Ceramic Composite Brake (PCCB) system as standard. The ceramic brake disks weigh 50 percent less than similarly sized metal disks, thus reducing the cars unsprung weight by some 18 kilograms. PCCB disks are available as an optional extra for the 911 Turbo, GT3 (with naturally aspirated engine) and Carrera 4S. The list price for the 911 GT2 will be 159,100 Euro (excluding VAT and country-specific requirements). The selling price to the customer will be 184,674 Euro including VAT in Germany and 191,700 US $ (plus tax) in the US. fuel capacity 89 litres or 23.50 gal.